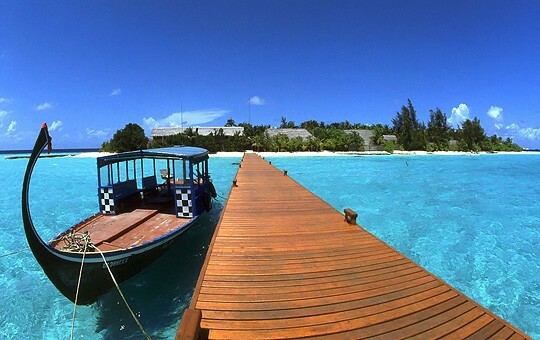 More than 700,000 tourists visited the Maldives in the first seven months of this year, Tourism Ministry has revealed. The number of tourists, who visited the Maldives from January to July 2011, increased by 18.3 percent to 520,483 compared to the 439,864 tourists in the same period of last year. According to the Tourism Ministry, tourist arrivals to the Maldives in July increased by 26.7 percent to 72,516 compared to the same period of last year. Statists revealed by the ministry show that China dominated the tourism market in the first seven months of the year with 103,734 tourists, which accounts for 19.9 percent of the total arrivals. UK is the second-most contributor to the Maldives tourism industry with 60,021 tourists (11.7 percent) and Italy follows on the third with 53,493 tourists (10.3 percent). Tourist arrivals from China increased by 65.6 percent from January-July 2011 while the number of tourists who visited the Maldives from UK and Italy decreased by 6.1 percent and 3.8 percent respectively. Maldivian resorts operated 24,156 beds in the past seven months while the tourists spent 7.2 days on average. The average occupancy rate of the resorts stayed at 80.1 percent.